You may have noticed a few posts lately regarding Extra Life, the charity gaming marathon to benefit children's hospitals. A few staff members are participating and you can find details on our official page. Check back to the site during the day Saturday, November 2nd to see live streams of the action. Nick Puleo (@NickPuleo) - "I spent more money on Steam this week than I care to admit. You'll find me there." Mike Katsufrakis (@Pheriannath) - "OBJECTION!! (Ace Attorney: Dual Destinies)"
Marc Allie (@DjinniMan) - "Extra Life! Hearthstone, Warmachine/Hordes, Skylanders, LEGO Marvel, and whatever else I decide to play throughout the day." Jason Love (@JLove55) - "Sleep; extra sleep, even, with "falling back". I'm going to finally earn that "Big Zs" achievement. 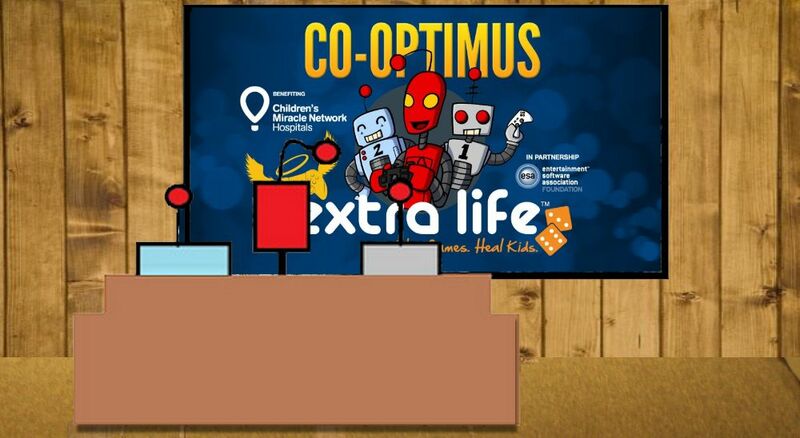 And then play some Ace Attorney: Dual Destinies"
Eric Murphy (@smurph_em)- "I'll be playing Borderlands 2, Diablo 3, Halo 4 and a variety of other games for Extra Life. You can find my full (tentative) schedule on our Extra Life page.."
Locke Vincent (@LockeVincent) -"It's all about Extra Life this weekend. I'll be doing battle against my arch-nemesis Sunflower4000 in a decathlon of games. Fates will conspire, destinies will collide, and it is all for the children. " Tally Callahan - "Lots of school-related stuff to catch up on this weekend. When I have the time, I'll be hitting up some tabletop games and maybe hit the video game backlog." Sam Tyler (@thereelsamtyler) - "Probably watching soccer." Chris Metz (@The_Lemko) - "What Eric said! Support our Extra Life efforts! John Bardinelli (@itsamejohn) - "Pretty interested in the Ironclad Tactics update, even though the idea of it being "more difficult" makes me want to cry." Justin Reynolds (@justinsocial) - "I would like to play games but I can't see the TV through my sunglasses." Taylor Killian - "Hitting the road for some portable gaming: Super Mario 3d Land, Persona 4 Golden, and Fire Emblem. I'll also be throwing down some tabletop magic with my buddies in the form of Elder Sign." Page created in 0.7675 seconds.